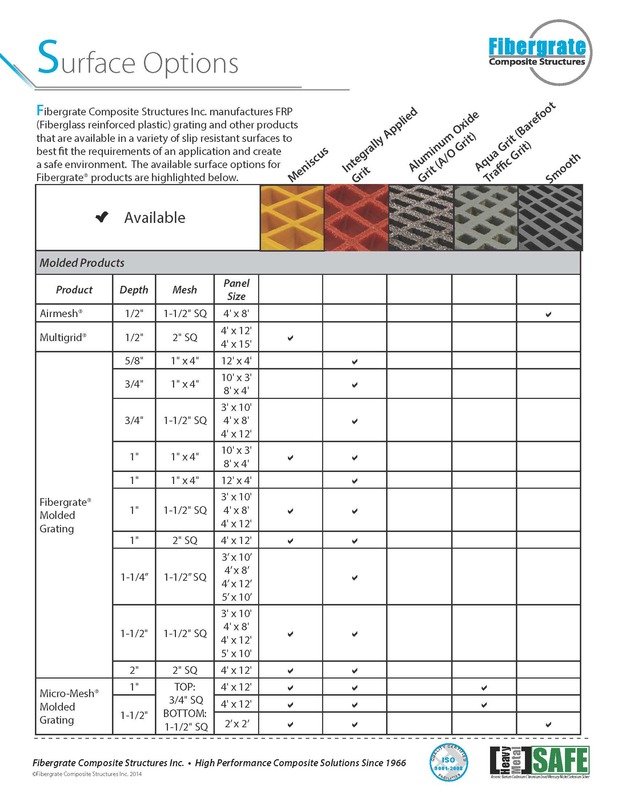 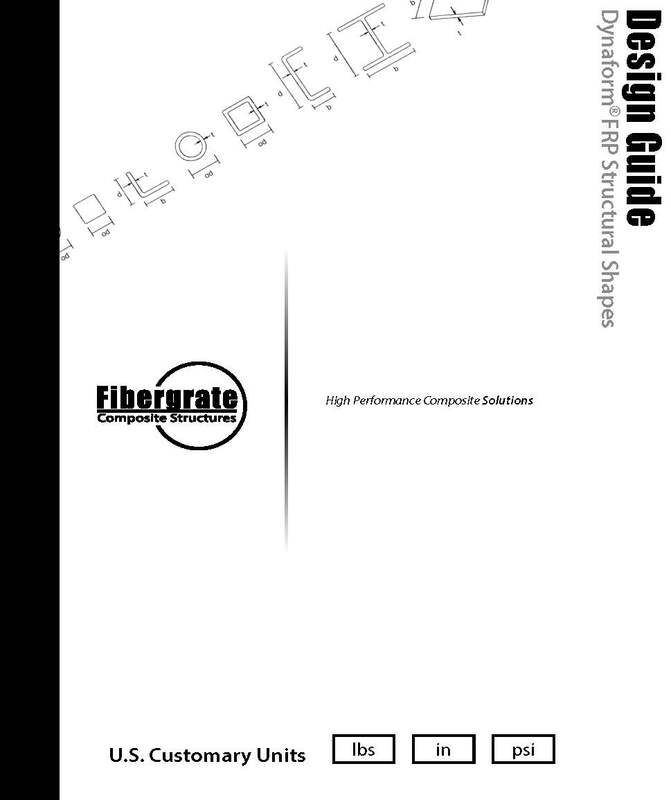 These resources provide all the information you need to select the right Fibergrate product for your specific industry and structural needs. 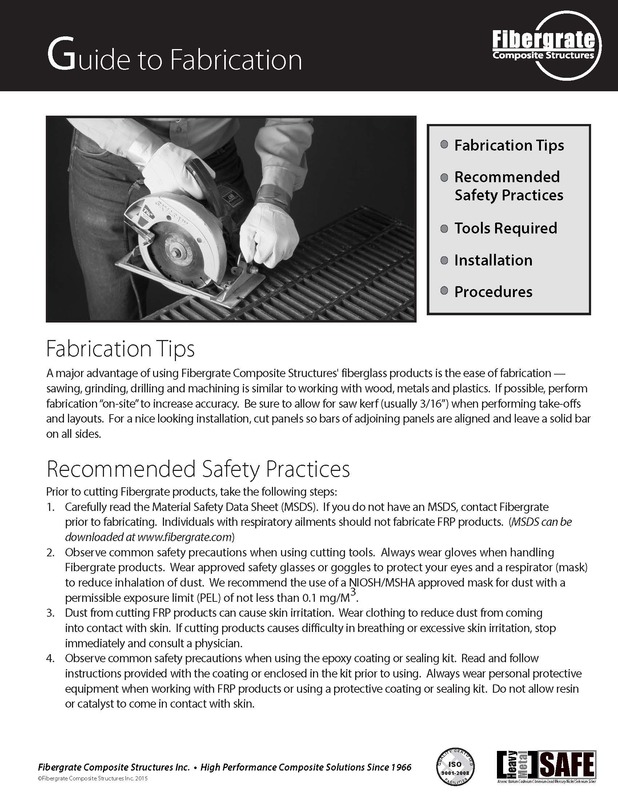 We make it easy to incorporate FRP into your design, with engineering guidelines including recommendations and standards for structures using molded and pultruded gratings, railing systems, ladder systems and structural members. 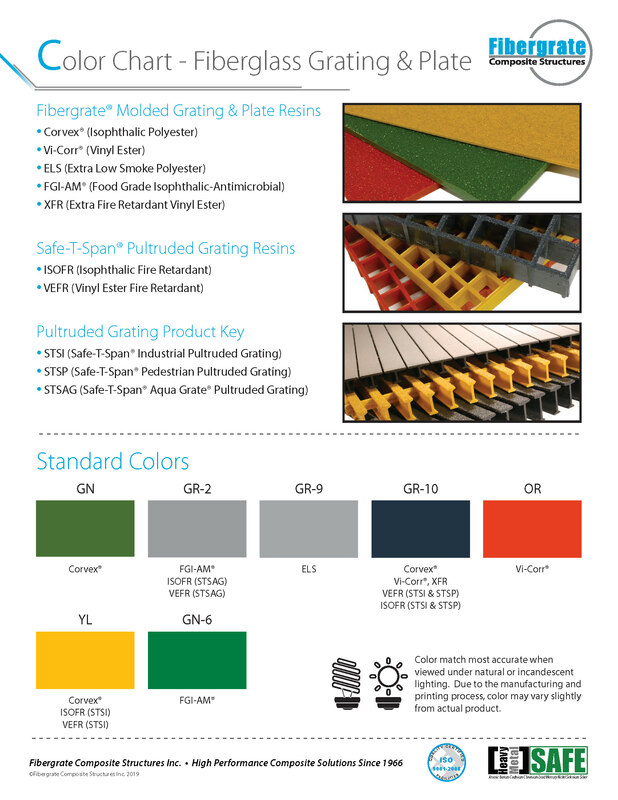 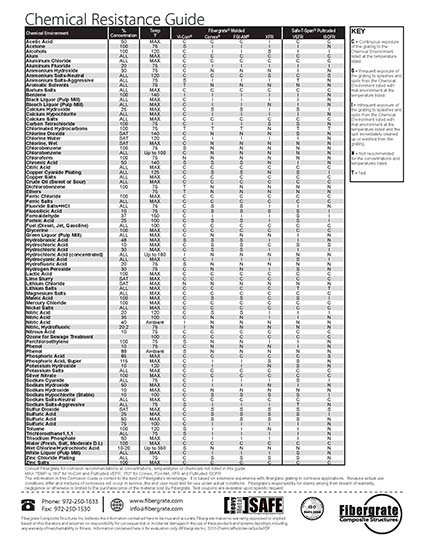 Product brochures and details plus load tables and options for surfaces, chemical resistance, clips and colors. 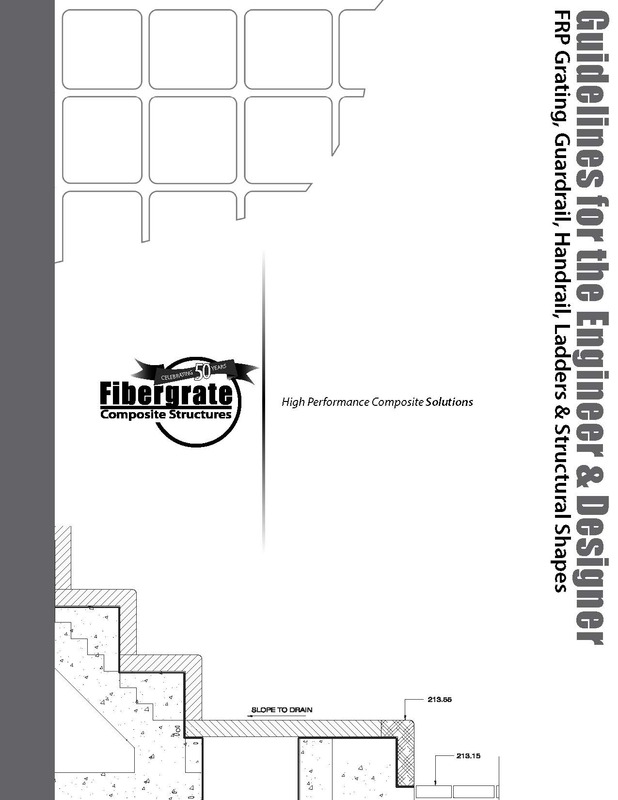 Design and engineering guides for FRP molded and pultruded grating and Dynaform® structural shapes, guardrail, handrail, ladders and fabrication guidelines. 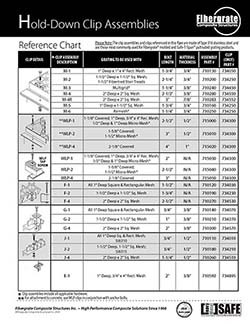 CAD drawings for gratings, railings, ladders, stairs and structural elements.